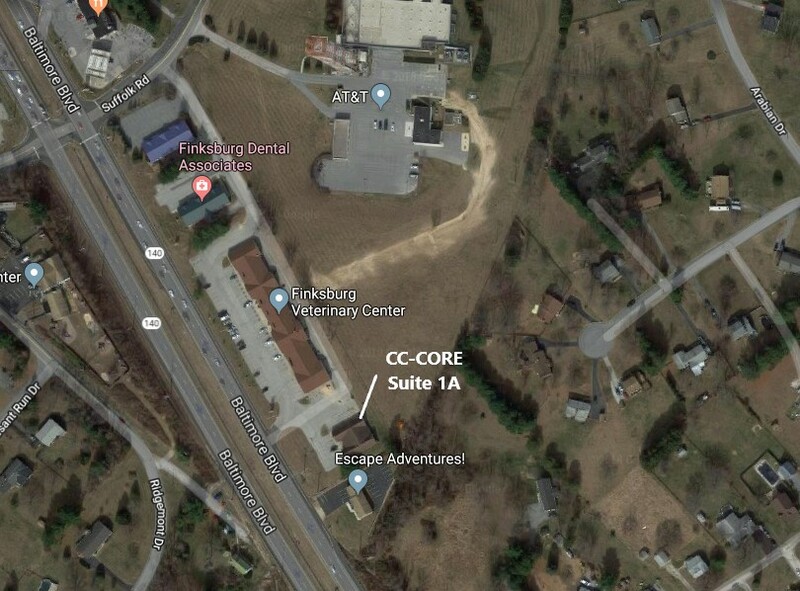 Our Build Facility is the Carroll County – Center Of Robotics and Engineering (CC-CORE) located at at the Tower Center – 2025 Suffolk Road – Suite 1A – Finksburg, MD. If traveling West on Maryland Route 140 (West of Maryland Route 91) just take a right into the Tower Center and turn right immediately to get to Suite 1A. If you are traveling East on Maryland Route 140 from Westminster turn left on Suffolk Road at the light and take an immediate right into the Tower Center. Pass two Buildings on your right and then take a right and an immediate left. Drive to the end of the parking lot to find Suite 1A. Meeting times vary please contact Rose Young or Tom Milnes for the latest information.